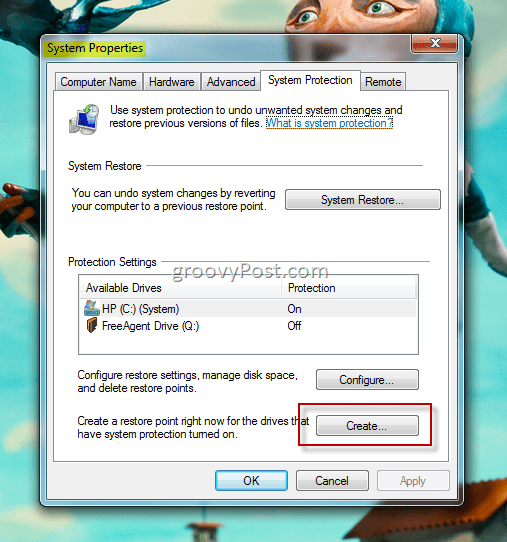 System Restore (sometimes called System Protection) for Windows 7 and Windows 8 allows you to restore your computer to a previous good state should any kind of issue occur during the install of a new driver or application without affecting your documents, pictures and other personal data/files on the system. Although Windows creates system restore points automatically as you install or remove software or drivers, I’ve been saved more than once by periodically manually creating system restore points before performing an install of an application or after successfully installing or configuring my system just the way I like it. To begin, here’s a how-to video screencast for creating the system restore point and below is the typical step-by-step tutorial with screenshots. The steps are exactly the same for both Windows 8 and Windows 7 with the exception of the first step. 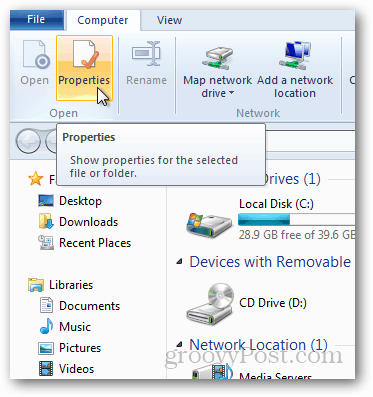 For Windows 8 press Windows Key+E to open Windows Explorer, Click the Computer Tab on the top ribbon then click the Properties button. 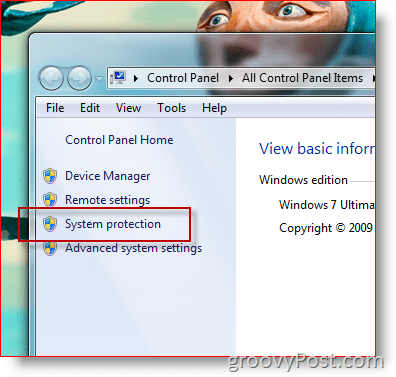 For Windows 7, Click the Start Orb, Right-Click Computer and Click Properties. In the event you do need to perform a system restore, read my next article in the series which demonstrates How-To Recover a System Using a System Restore Point. I have no words, and I don’t know how to say THANK YOU enough times to pay you back for the assistance that you provided, I have spent days trying to figure out how to do what you just explain to me, and it worked perfectly, if there anything I can do for you, please let me know, I do have one more problem, I use windows 7 but when I try to go to an advertised web site I get a message that tells me to go to Microsoft outlook, I have tried 100 times but I cannot figure that out how to get it installed on my computer, so I just give up, don’t worry about that I am very grateful more than I can say, for what you have done for me today, once again let me say THANK YOU Robert Anthony Gomes Sr.
@Robert – Sorry you lost me on that one. What is it you cannot figure out? How to install Outlook or some other piece of software? Don’t forget, the System Restore point is integrated with Windows backup now so the “Previous Versions” is leveraging the System Restore also. Great article Steve, but to make things a little quicker I created a shortcut on my desktop to get to System Restore. On the desktop, right click and create a new shortcut, and then paste the following text(C:\Windows\System32\control.exe sysdm.cpl @0,4)into the target box. (I’m running Win 7). I named my new shortcut My System Restore, but you can name it whatever you like. Keep up the good work. Brilliant idea! Why didn’t I think of that? Many thanks. @Ziggy: That would make a great guest article if you’re willing to write it? Thanks for the offer but I’m sure that there are more able people on your site to provide information to your readers. At the end of the day I’m just a novice who likes mucking around with computers. Just a few more thoughts on System Restore though… Glary Utilities Free offers a System Restore module, which is quite good as it also gives you the opportunity to restore a point using its program. It also allows you to see all the restore points created. As for deleting System Restore points I use Ccleaner as these can consume disk space. But at the end of the day System Restore is one feature of the Windows operating system that shouldn’t be ignored. It really can be the difference between one in-operable computer and a working computer. Unfortunately (just sometimes) I’ve found that System Restore was unable to restore my computer to a prior state and that’s why I keep at least 6 to 10 restore points up my sleeve! If one restore point fails I always have another to call on. Furthermore System Restore won’t save you if your hard-drive is about to die. That’s why I back-up all my data to an external hard drive. 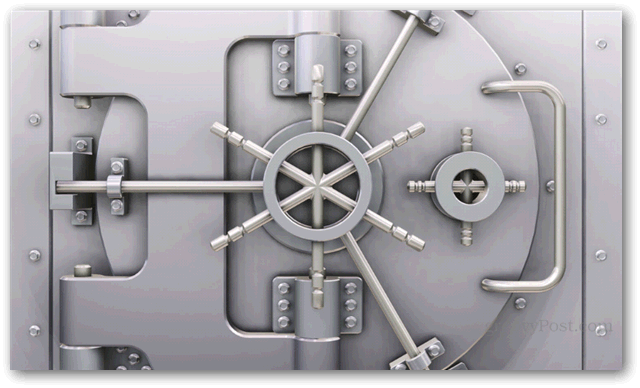 In addition I also back-up my Applications Data files – Local, Local Low and Roaming – as these contain important back-ups which you may need on a new computer. For example, Mozilla Firefox and Thunderbird preferences can be found there. Last time my computer broke down I was able to find my Firefox profiles and all my Thunderbird emails there. I am attempting to create a restore point on my Toshiba with Win 8, and it’s been showing the work in progress bar for at least 1 hour now and it appears the only way to quit now is to end task through task manager since what I have read now is that it should only take a few minutes. Any advice? Thank you a million times for such clear information. I am new to Windows 8 (stuck with XP for as long as I could) and finding anything is a nightmare. I know where I used to find this stuff, but everything has changed and the Microsoft help is no help whatsoever. Just for once I would like to see a reply that actually works. Do NOT combine win 7 with 8 and say everything is the same because it is NOT the same. Right from the beginning on clicking my page doesn’t look like urs as for sure as heck urs is win 7 while mine is win 8. If your going to give some help do it in two parts. Here is what one must do for win 7 and finish it. 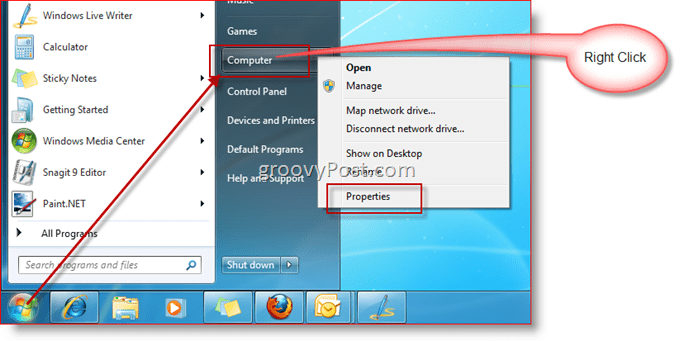 Here is the step by step for win 8. to create a systems restore point.